Time of Origin: Originate from a parallel universe, but confronted The Doctor on a distant colony in the twenty-fifth century. History: As an adversary, the Ferutu are a distinctive threat for many reasons; not only are they essentially alternate versions of the Time Lords, whose timeline diverged from the reality we know when Gallifrey was destroyed in some terrible catastrophe centuries in the past, but they were also the only adversary to be faced by two Doctors at once where having multiple incarnations present was actually a disadvantage rather than an asset. In the Ferutu's world, Gallifrey was destroyed in a massive catastrophe at the dawn of what would have been Time Lord civilisation, allowing the Ferutu to rise in their place. Their history in our universe is unknown, but without the Time Lords to control time travel the Ferutu went on to develop a great power over time, actively using their abilities to mould the universe as they saw fit as opposed to the Time Lords' role as passive observers, although they lacked any concept of power or ambition and so did not seek to rule their universe. 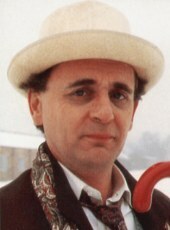 Even the cynical Seventh Doctor confidently stated that there were no snakes in the Ferutu's universal Eden, with their rule being as benevolent as it appeared, even if the Daleks, the Vampires and other threats still existed (Humanity had apparently never evolved in their reality, with our home galaxy instead being the home of an insectoid race). The Ferutu were generally human in appearance, but were completely hairless, lacking even eyelashes, typically appearing in long black robes and high-collar tunics. The main power of the Ferutu lay in their ability to slow, accelerate, stop, and manipulate time, making them nearly invincible in most forms of combat as they could simply freeze their opponents and strike with impunity. They could also choose to accelerate a pocket of time around foes, causing them to die of old age. The Ferutu could also exist outside of cause and effect, allowing them to reshape history at will, and were capable of powerful telekinesis, allowing them to hover over the ground and kill with a gesture. They could also pass through solid matter. These powers were invoked through the use of runes, with the amount of power they could exert correlating to the number of Ferutu invoking the runes (It is unclear whether their powers are based on magic, or some form of technology so old and advanced enough as to merely appear magical). Aside from requiring large numbers of Ferutu to perform particularly complicated rituals, the runes were also the source of their only apparent weakness; they were vulnerable to those same runes, when used properly, allowing the Seventh Doctor to trap a group of Ferutu in a chalk circle after using a rune. The Ferutu gained access to our universe when an early prototype TARDIS from Gallifrey's distant past was stolen by a woman who appears to have been the wife of the Other - one of Gallifrey's three founders along with Rassilon and Omega, his origins shrouded in secrecy, with evidence suggesting that he was 'reincarnated' after his death as The Doctor - to escape Rassilon's various movements against aliens and the womb-born, crash-landing on a distant human colony ruled by a technocracy ("Cold Fusion"). Due to the primitive nature of the Machine, its travels created a rift in the fabric of reality that was made worse when the colony scientists attempted to use it without understanding its systems, attracting the Ferutu to this universe and turning it into a potential historical nexus point, with its fate determining whether the Time Lords or the Ferutu would rise to power. Becoming aware of the Machine, the Seventh Doctor set out to investigate it, setting up Roz with contacts in both the local Adjudicators and the resident resistance movement while Chris posed as a stereotypical Australian tourist to meet the resistance leaders. However, the investigation was unintentionally complicated when the temporal disruptions caused by its presence drew in the Fifth Doctor shortly after his regeneration ("Castrovalva"), also locking the younger Doctor and his companions out of their TARDIS. Having arrived in the city, Tegan and Nyssa left to book rooms in a hotel while The Doctor and Adric managed to gain access to the headquarters of the Scientifica, the planet's ruling scientific elite, after thwarting an attempt to bomb a skitrain. They eventually tracked down the Machine's pilot, an early Gallifreyian that was later nicknamed Patience due to her status as a patient and her lack of conscious memory, who regenerated after The Doctor removed her from the life-support systems. Unfortunately, The Doctor and Adric were subsequently held prisoner by Adjudicator Medford, a member of UNIT's descendant organisation Unitatus who regarded all aliens as potentially hostile, considering The Doctor and Adric threats simply because they weren't human and refusing to let The Doctor help the Patient despite her regeneration failing due to a head injury. However, although Tegan was captured as The Doctor and Adric's accomplice after Medford checked colony records, Nyssa was rescued by Chris and agreed to help him investigate what was really happening on the colony. At the same time, a Ferutu attack on the Scientifica allowed The Doctor to escape with Tegan and the Patient through a vent in Tegan's cell (Chris had been using the alias 'Bruce Jovanka' on the Seventh Doctor's advice, The Doctor having hacked the Scientifica's computers so that anyone with that surname would be allocated a cell with a key weakness). Meanwhile, Adric found himself dragged along by Roz when he stayed behind to distract her before learning that she was an ally, the two forced to stick together after the Fifth Doctor unintentionally sabotaged Roz's escape route through the cell - each believing that the other knew their Doctor due to the Seventh having been out-of-contact with Roz and Adric saying that he had only known The Doctor for a couple of weeks - leaving the Fifth Doctor and Tegan to flee to a skitrain with the Patient, whom Tegan nicknamed Patience. While Nyssa and Chris discovered a recent delivery of twenty-eight fusion bombs - explosives that increased exponentially if they were detonated at the same time as each other, with one bomb only a threat to a small town while twenty bombs could destroy a galaxy - Adric was introduced to the Seventh Doctor as he and Roz travelled to the Machine. When the Machine was reactivated, a new group of Ferutu appeared, The Doctor travelling to their universe to learn more about them while Medford prepared to take action; having overheard the Ferutu identify themselves as the Lords of Time, and with the Fifth Doctor having previously introduced himself as a Time Lord, Medford became increasingly convinced that the Machine was the forerunner for a Time Lord invasion of the Earth Empire. 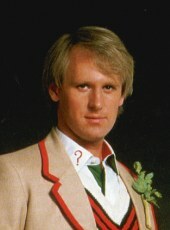 As the Fifth Doctor, Tegan and Patience managed to rendezvous with Nyssa and Chris, The Doctor disarmed the fusion bombs by reversing the polarity of the neutron flow before they were recaptured by Medford, The Doctor hoping that he and the now-stabilised Patience would be able to mindlink and send the Machine back to Gallifrey by remote, the Machine's return trip undoing the damage it had caused to the Time Vortex (Medford had loaded the fusion bombs onto the Machine with the intention of destroying Gallifrey when the Machine materialised, but The Doctor believed that this was unimportant due to him having disarmed them). Convinced that he had achieved his goal, Medford went on to kill Patience by shooting her in the back of her head, destroying her brain to prevent regeneration, but the Seventh Doctor, Roz and Adric were able to distract Medford before he could shoot the Fifth Doctor, allowing the Fifth Doctor to disarm Medford and shoot him in the chest, his armour absorbing the blast but knocking him out of the room. Unfortunately, although The Doctors were able to seal Medford out of the room using Adric and Roz's new clearance codes after they hacked the colony computers, the Seventh Doctor then revealed that he had already disarmed the fusion bombs before the Fifth discovered them, with the result that the Fifth had unintentionally re-armed them, and Gallifrey was now in peril because of his actions. As the two Doctors set the Machine into reverse to buy more time, a group of Ferutu appeared to confront the Time Lords while the rest of them destroyed the fleet that Medford had summoned to prepare for the 'invasion', but the Seventh Doctor was able to trap them in a chalk circle and deliver an ultimatum; right now, with the Machine outside of the regular universe, both the Time Lords and the Ferutu's timelines could co-exist, and would continue to do so unless the Machine materialised and the bombs detonated, with only the Ferutu possessing the necessary mental strength to keep the Machine immobilised. However, just as the Ferutu had frozen the Machine in position on its original flight-path, the Fifth Doctor realised what the Seventh had done; with the Machine having gone back in time during its transit, it collided with its own past self as the younger Machine was coming towards the planet. As a result, the Ferutu's timeline was erased and the elder Machine was destroyed while the damaged younger Machine and its pilot crash-landed in the planet's distant past. The Ferutu that the Seventh Doctor had interrogated earlier were now the only survivors of their timeline, trapped in the chalk circle and unable to leave its confines without being erased, leaving the Fifth Doctor appalled at this glimpse of his future self, capable of destroying an entire alternate universe, but knowing that he couldn't release the Ferutu from their imprisonment in the chalk circle even if they hadn't vowed to do everything in their power to restore their universe.